Standards will be finalized by February 2015. In October 2013, leading a coalition of seven states, Attorney General Eric T. Schneiderman filed a lawsuit against the federal Environmental Protection Agency (EPA) for violating the Clean Air Act by failing to adequately limit air pollution emissions from new residential wood heaters. In the legal papers, Schneiderman's coalition contended the EPA's existing emissions limits, which haven't been revised in 25 years, were outdated and left out popular types of residential wood heaters -- including outdoor wood boilers, which have proliferated in many areas of New York. 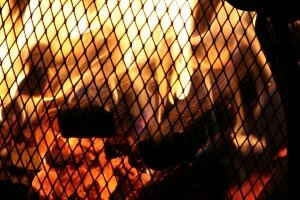 On February 3, 2014 EPA published in the Federal Register new standards to limit emissions from new residential wood heaters. The EPA is currently accepting public comments on those standards through May 5, 2014. The settlement announced today requires EPA to finalize its issuance of those standards by February 3, 2015. Further information about the settlement papers entered by the court today can be obtained here. Further background information about the Attorney General’s lawsuit, including court filings, can be obtained here. Subject: LongIsland.com - Your Name sent you Article details of "Statement by AG Schneiderman on EPA's Agreement to Finalize New Air Pollution Standards for Residential Wood Heaters"